At the end of the day's play, Ashwin conceded that the drop in pitch at the Adelaide Oval played a lot slower than expected and that every run was very important as it will get even tougher to play strokes. The first Test at the Adelaide Oval is proving to be a battle of wits where the team which holds its nerves the longest might just walk away with the match. After being dismissed for 250, the Indian bowlers hit back with a vengeance as they reduced the hosts to 191 for 7 in 88 overs, still trailing by 59 runs. Ashwin was impressive today as he returned with figures of 3/50 in 33 overs. The pace duo of Jasprit Bumrah (2/34) and Ishant Sharma (2/31) chipped away at the wickets. "Adelaide generally offers a bit of spin but looking at the grass that was there yesterday, we didn't think we will get the little bit of hold we are getting. There is a bit of hold in the wicket but it is not something that is considerable or vicious or anything like that. It is slowing the ball down at the surface. Not really surprised but I think it was slower than we expected it to play," he told reporters after the match. 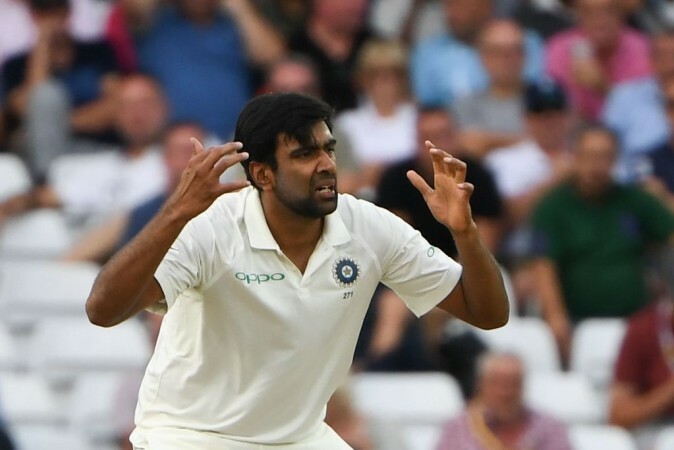 The pitch at the Adelaide Oval is a drop-in one and hence, Ashwin spoke of how he did not know how it would behave in the coming days and how much it would deteriorate. However, he said that it will only get slower and lower which will make batting tedious. "I really don't how much it is going to deteriorate or what is going to happen, it is a drop in wicket at the end of the day; I don't know how much a drop-in wicket deteriorates but because of the amount of grass, I don't see the marks widening as much as it did the last time. But we will have to wait and watch," he added. Not getting too far ahead of himself, the off-spinner said that there was a lot of cricket still to be played and India would ideally want to dismiss the lower order quickly on day 3 to make the most of the position they are in at the moment. "I see it as neck and neck as far as the game goes right now. Whoever gets the momentum from here on will have an edge in this Test match. I think it is extremely well poised and every run is going to be gold dust from here on," he signed off.